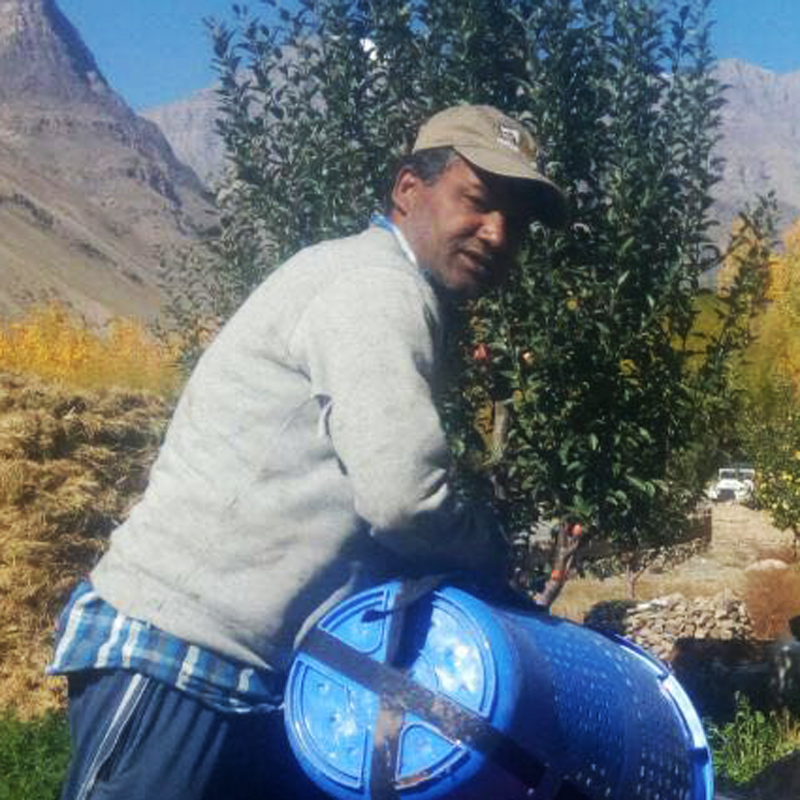 Nikhil is a Apple Orchardist from Tabo - A small village in the Lahaul Spiti district. Being the last apple growing village on the Indian side, these orchardist take a lot of pains to grow Apples at that elevation. Nikhil heard about some visitors about FarmerUncle and reached out to us to help him sell his apples directly to customers in the city. We need to support progressive farmers like him to be able to reach the right markets. These Royal Delicious Apples are growing in extremely high reaches of Himachal at Tabo Village in the Lahaul Spiti Region - 11000 ft over sea level. At this elevation, the land is almost like a cold desert. It takes the farmer a lot of effort to grow anything. The conditions are extreme and the resources are scarce. Being at such high elevation, there is no real pest infectation and the farmer is not required to do any kind of chemical sprays at all, making the Apples naturally organic. The Apples have to be moved by mules over a river to reach the closest Bus station which is a 4 Hr journey from the Orchard. From there the Apples take a 800Km journey down to Delhi. Resources being scarce, the farmer can only do a 10Kg packing.